Could Khan's new Transport plans be the end of Royal Jordanian? Home News Legal Could Khan be the end of Royal Jordanian? The Mayor of London Sadiq Khan, together with the Deputy Mayor of Transport, has announced that motorcycles used for private use are no longer welcome under their new proposed Transport Strategy. Following the recent London Assembly on the 8th March, Under Sadiq Khan’s new transport plans puts cyclists, pedestrians and public transport are at the forefront of London’s transport priorities. 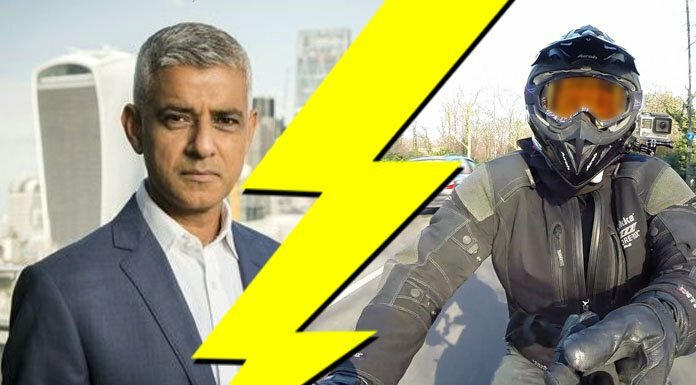 The news sits controversially for the motorbiking community and could potentially be a source of concern for Famous Youtubers such as Royal Jordanian, who attribute their Youtube success to their daily footage of motorbiking around London. What this potential means is an end to vloggers livelihood unless the channel is to be incorporated as a business under UK Law. The outcome of such a decision would mean that Youtubers like Royal Jordanian would have to face the tougher taxation and insurance obligations that other business’s face or risk shutting down their channels. For some, the news has come as no surprise. Many have advocated that motorcycles should face tougher restrictions following the recent rise in motorcycle crime within London. If Khan is re-elected, the priority for what he called ‘relative road space’ would see a rise of courier deliveries and less private bikers on the road. Shawcross CBE confirmed that whilst motorcycles have considerably lower emissions, because of, “the mode shift hierarchy, they [motorcycles] are not a priority” in Khan’s new traffic policies. Thus motorcycles should not be used for commuting and instead, bikers should opt for other forms of transport such as the bus or underground.